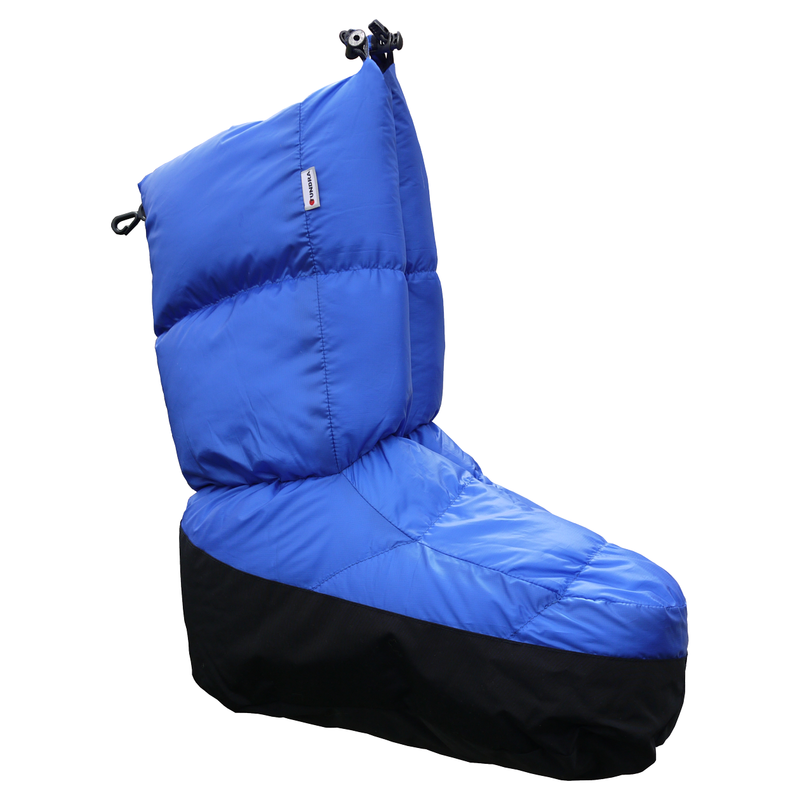 These bigger and tougher boots feature a tough durable nylon fabric rand and sole so they can be used in mountain huts and bothies and in the immediate area outside a tent. Filled with the same ethically collected 880+ Euro Standard down as used in our Pure and Pure & Dry sleeping bags, not only are they light but also tough and pack into a small stuff sack. These sizes are an indication only as the product is loose fitting like a duvet, not tight like a sock.